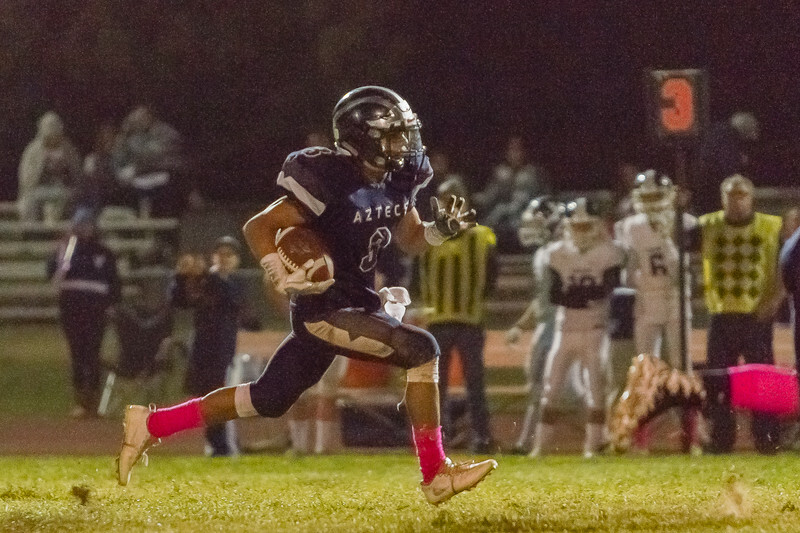 Farmersville WR Andrew Garcia (3) races to the end zone for one of his two touchdown receptions. Garcia caught 4 passes for 108 yards and 2 touchdowns for the Aztecs. However, the Aztecs fell in a 35-35 slugfest.